Content management & marketing tools built in. 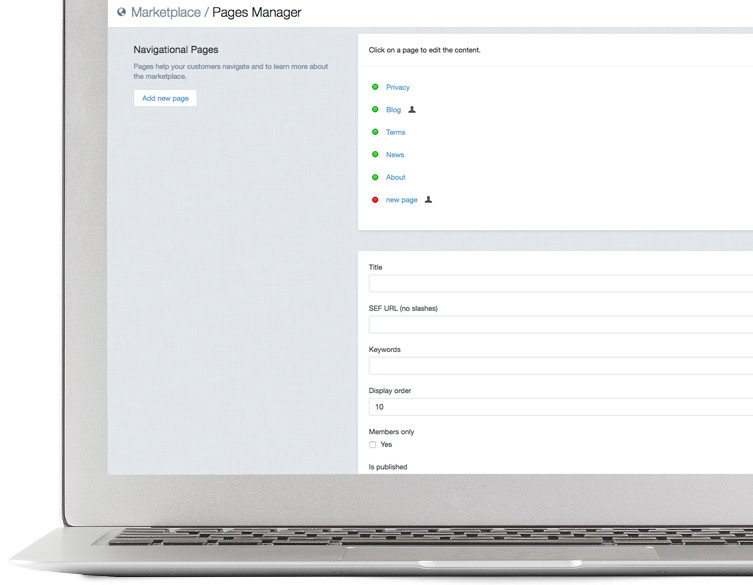 Pages help your customers navigate and to learn more about the marketplace. Create custom content (public or private members only) to deliver your own terms, policies and about us or create new pages for news, blogs, help, resources and more. Supporting graphics help customers navigate your marketplace. Easy uploader lets you add custom category slide out images and homepage hero banners to promote products and brands. 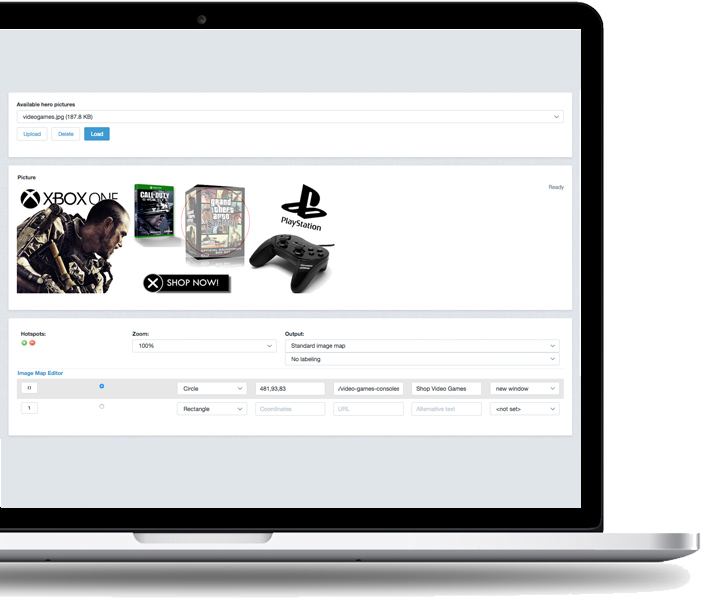 Directly lead buyers to purchases or category pages (and/or search results) through the use of single or multiple clickable hot spots.